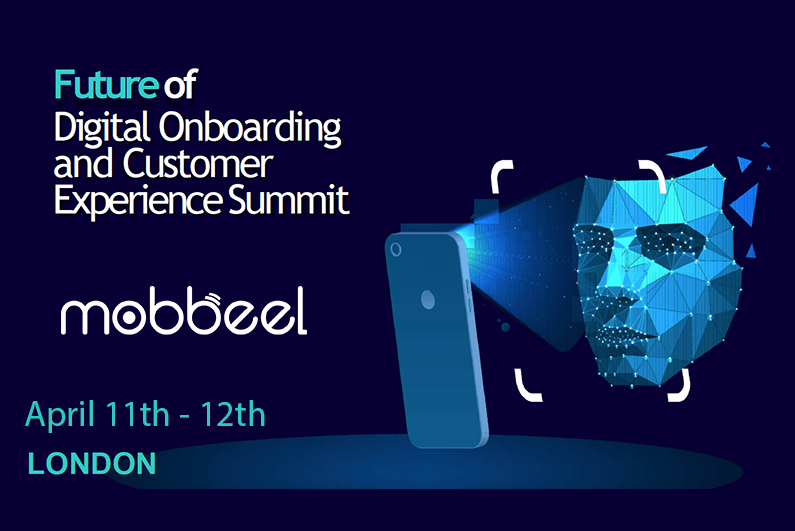 Future of Digital Onboarding and Customer Experience Summit for Financial Institutions, FODOx 2019, is a 2-day networking (April, 11th – 12th at London) event with revolutionary Keynotes, Case Studies, & Panel Discussions. And as you can imagine, Mobbeel couldn’t miss this unique industry forum as silver sponsors and exhibitors. An event comprising of high profile delegates who are the key decision makers from the biggest Organizations, innovative Startups, Governments and Universities around the globe, aims to discuss the challenges and explore best-practices to optimize the Digital Onboarding, Customer Experience and Identity Management processes. Improving Onboarding and Cost-to-Serve efficiency needs to be the core focus of a business’s digital transformation ambitions. With the advent of Biometrics, Blockchain, Big Data Integrations, and AI (Artificial Intelligence) & ML (Machine Learning), enterprises can now reengineer the legacy onboarding processes. Identity is foundational for political, economic & social opportunities. Strategic collaborations and use of new technologies has facilitated the unbundling of digital identity, whereby we can share our selected identity attributes online. Debating, learning, seeing and showing are the key goals of attending an event that is postulated as one of the most important and specific ones in the world about Digital Onboarding. We will be available with Stand. Contact us in order to schedule a meeting. See you in London!